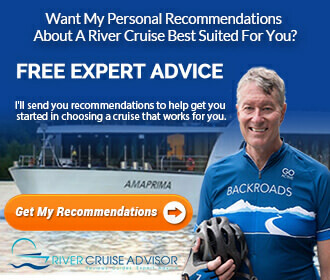 It is never too early to plan a Mekong cruise – especially as Scenic announces free airfare for guests booking the 13-day Treasures of the Mekong cruises. 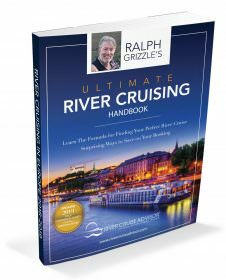 Guests get to explore and learn about the cultures and histories of the cities, towns and villages that reside along the banks of the 2,700-mile long, six-country river. The offer, encompassing 25 US gateways for bookings made by July 31, 2017, is good the few remaining departures in 2017 and through April of 2018. The 13-day all-inclusive itinerary, aboard the Scenic Spirit, sails between Siem Reap, Cambodia – home of the 12th-century Angkor Wat, the world’s largest religious monument – and Ho Chi Minh City, Vietnam. The route includes guest experiences such as a traditional monk’s blessing, high tea at the landmark Raffles, private shadow dance puppet performances, and a magical themed gala dinner at an Angor Watt Temple with Apsara dancers – as well as views of floating canal villages, verdant paddy fields and picturesque islands. Multi-night stays in Ho Chi Minh City and Siem Reap offer both guided tours and free time to explore. 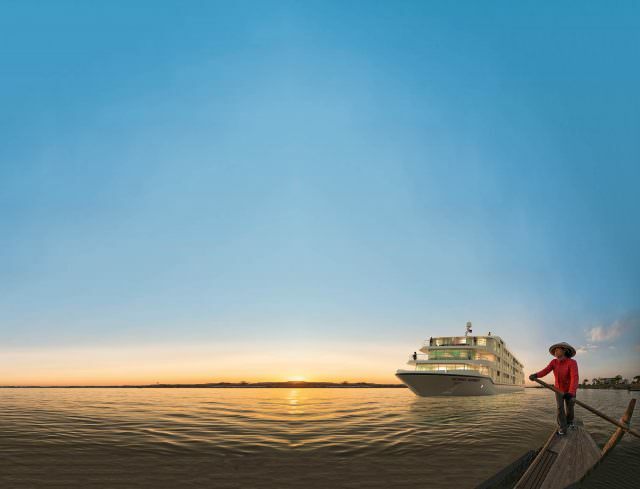 To explore the exotic treasures of the Mekong, the year-old purpose-built ship, Scenic Spirit, named by Condé Nast Traveler as the most luxurious vessel on the Mekong, will provide an intimate boutique cruising experience with only 34 private balcony suites. The trip includes private butler service, unlimited complimentary beverages, included gratuities, cultural entertainment and regional cuisine in customized settings: poolside to cabin, al fresco to fine dining, personal service with nearly 1:1 guest-to-staff ratio; elevator access to all service decks; on-board English-speaking guides for lectures and local insight; plus sleek swimming pool, fitness center, steam sauna, beauty salon, guest laundry, library and open-air cinema.